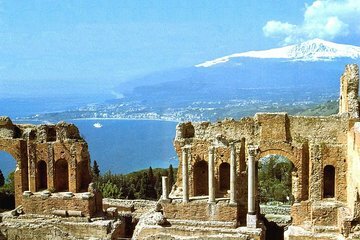 The largest island in the Mediterranean Sea, Sicily lies at the toe of Italy’s “boot,” separated from the mainland by the narrow Strait of Messina. 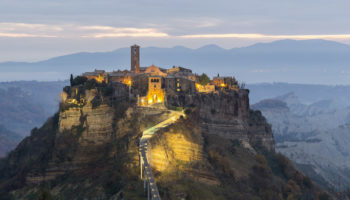 Home to Europe’s tallest active volcano, Sicily is a mountainous island with rugged landscapes tamed by centuries of cultivation and deforestation. 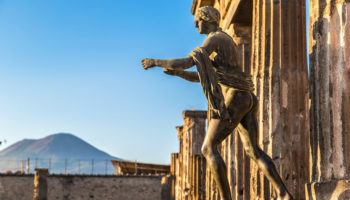 The range of cultures that have dominated the island over its long history have left their mark as well, and while rumbling Mount Etna remains a strong tourist draw, many visitors come to Sicily to explore its diverse array of archeological wonders. 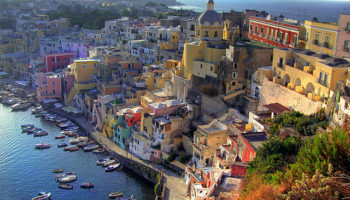 The outlying Aeolian Islands are also popular places to visit in Sicily. 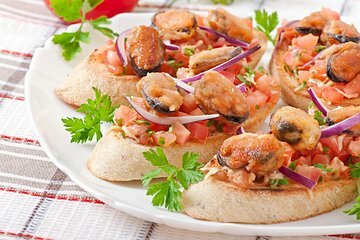 With its unique cuisine, temperate climate and sandy beaches, a vacation in sunny Sicily is always memorable. Monreale is a small town located near the city of Palermo, the capital of Sicily. The city sits atop a hill overlooking the Golden Shell, a valley known for its olive, orange and almond trees. The city’s star attraction, however, is the magnificent Cathedral of Monreale, a stunning example of Norman architecture. Although the church has a rather unimpressive façade, the interiors are breathtaking. The Italian cloisters are famed for both their size and incredible detail, but it’s the mosaics covering the walls that make this cathedral so special. Almost every square inch of the interiors gleams spectacular mosaic images set against a gold background. Situated on the summit of Mount Erice, the town of Erice overlooks the city of Trapani nearly a half mile below, making a visit to Erice worthwhile for the views alone. Reached by cable cars from Trapani, the historic city also offers visitors to Sicily a break from the hot summer sun as temperatures tend to be cool and crisp here year round. The town’s main attractions are two medieval castles, one built by Arabs, the other by Britons. The Norman castle was built atop an ancient Temple of Venus. Located in the northwestern part of Sicily, Segesta was one of the major cities of the Elymians, an indigenous population of Sicily who also founded Erice. The Doric temple that lies just outside the ancient site is well preserved. It was built in the late 5th century BC and has 6×14 Doric columns. Several things suggest that the temple was never actually finished. The Doric columns have not been fluted as they normally would have been and the temple also seems to have lacked a roof over the main chamber. The setting of the Temple, perched on a hill, is simply beautiful with views that stretch right down to the sea. Located on the outskirts of the town of Piazza Armerina in southern central Sicily, the Villa Romana del Casale is one of the island’s must-see attractions. The 4th-century Roman villa features one of the largest and best-preserved collections of ancient mosaics in the world. Each of the main rooms in the villa has a mosaic floor decorated in a specific theme, including a hedonistic mosaic in the main bedroom. The mosaic depicting the Olympic games is the most famous as it features the first image of women wearing what are known today as bikinis. Also known as Siracusa, Syracuse was once considered the most important city of the ancient Western world. The 2,700-year-old city is mentioned in the Bible, in the writings of Cicero and in the myths and legends of many civilizations. The oldest part of Syracuse is situated offshore on the island of Ortiga and is filled with historic temples, churches and important archeological sites, including a necropolis that dates back from 1270 B.C. Theatrical productions are still staged at the 5th-centry Greek Theatre, which boasts one of the largest seating areas ever built by the ancient Greeks. 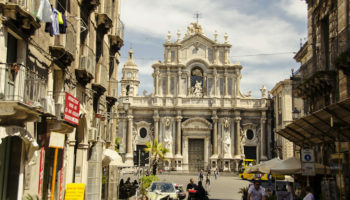 Sicily’s bustling capital city, Palermo has a history that dates back 2,700 years. 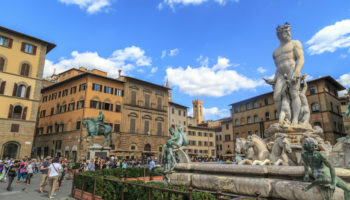 Founded by the Phoenicians, the city reached its cultural peak during its Arab occupation when Palermo was called the “city of delights” for its beautiful gardens and architecture. 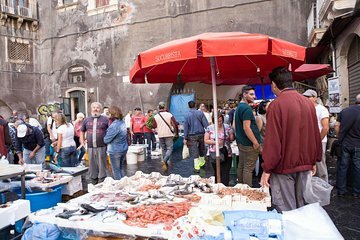 Today, the city is known more for its boisterous street markets than for its cultural attractions, although there are first-class museums and historic churches in Palermo well worth exploring. The top attraction is the Catacombe dei Cappuccini, an underground maze of open crypts beneath the Capuchin monastery. Some of the 8,000 mummified human remains are extraordinarily well-preserved but creepy. Located off the northern shore of Sicily, the Aeolian Islands attract around 200,000 visitors each year. The seven islands that make up the archipelago are the result of volcanic and seismic activity, and climbing the active volcanoes on the islands of Stomboli and Vulcano attract adventurous travelers from around the world. Most visitors, however, come to the Aeolians for their picturesque white-washed villages and luxury resorts. With steaming fumaroles located on most of the isles, relaxing in a percolating pool of mud or lazing in bubbling thermal waters are popular activities as well. 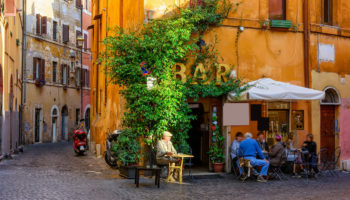 Perched on a cliff near Mount Etna on the island’s eastern shoreline, Taormina has long been a popular place to visit in Sicily. Well-heeled travelers have been including the resort town on their itineraries since the 19th century. There are scenic beaches near the city to enjoy too, and as they’re only accessible by an aerial tramway, traveling to them is half the fun. The Teatro Greco is Taormina’s most popular attraction. While the architecture of the amphitheater is Roman, its layout indicates that it was built upon an older Greek theater. Although the original seats have been replaced, much of the 2nd-century theater remains intact. One of the world’s most active volcanoes, Mount Etna stands around 3,300 meters (11,000 feet) tall, towering over the east coast of Sicily. Most of the volcano’s eruptions occur at the summit, continually adding to or subtracting from the mountain’s height. During the winter, visitors come to Etna to ski on its snowy slopes. In warm-weather months, adventurous travelers make their way to Rifugio Sapienza, a popular departure point for climbs up the mountain. Accessible by private car, the ski station Piano Provenzana on Etna’s less active northern slopes has tour operators who drive visitors up to the Volcanic Observatory station or up to the main crater. 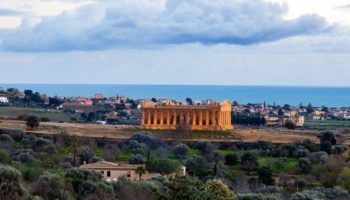 The city of Agrigento on the southern coast of Sicily was a city of great importance in Ancient Greece, and it’s the archaeological remnants of its gloried past that make the town a popular travel destination. Just outside the city lies the Valley of the Temples where a series of 5th-century Doric temples stand on a ridge facing the sea. 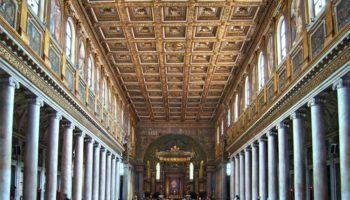 Of these, the temples attributed to the goddesses Concordia and Juno Lacinia in the eastern section are the best-preserved. The western section features the unfinished Temple of Zeus, the largest Doric temple ever unearthed. We also visited Palermo this year. Nice city anyway. There are some best sights to see. Highly recommended. We love Palermo!